A car radio code is a short string of numbers associated with a security feature found in some head units. If your radio is flashing "CODE," then it has that feature, and you'll have to put the code in if you ever want to use your stereo again. Most head units have a memory keep alive feature that allows the radio to remember the time, presets, and other information. This information is all lost if the battery ever dies or is disconnected, but for most head units, that's the extent of the damage. In order to get your head unit working again, you’ll have to locate the proper car radio code and input it using a method that is specific to the particular make and model of your stereo. There are a couple of ways to locate the code and procedure, and some of them are even free. After you have the code, you can jot it down somewhere safe so that you never have to deal with this again. In some cases, the car radio code for your head unit may be printed in the user’s manual. This isn’t an especially secure place to have it since most people keep their user’s manuals in the vehicle, but there are some cases where you will find the code that you’re looking for in the manual. Some manuals even have a space in the front or the back to write down the radio code. If you bought your car used, the previous owner may have done so. After you’ve checked the manual, the OEM’s website is the next place to look. In most cases, you’ll want to look on the website for the automaker that built your car, although you may need to check the site of the car audio company that made the head unit itself. If the OEM in question maintains an online database of car radio codes, you’ll be able to put in information like your vehicle identification number (VIN) and the serial number of the radio in order to access your code. In addition to OEM databases, there are also a handful of free databases of codes for various types of radios. Of course, you should always take care when using one of these resources since inputting the wrong code enough times will typically lock you out of the head unit altogether. Another option is to call your local dealer. Even if you didn’t buy your vehicle from that specific dealer, they will often be able to help you. Make sure to have the make, model, year, and VIN of your vehicle handy in addition to the serial and part numbers of the radio. You may have to speak with either the parts or the service department. Of course, keep in mind that this is a courtesy service that they’re not obligated to provide. If none of those options works, then you’ll need to contact a local service center or use an online service that has access to a database of car radio codes. These are paid services, so you’ll have to shell out some cash in order to receive your code. They’ll typically need to know the make and model of your vehicle, the brand of the radio, the model of the radio, and both the part and serial numbers of the radio. 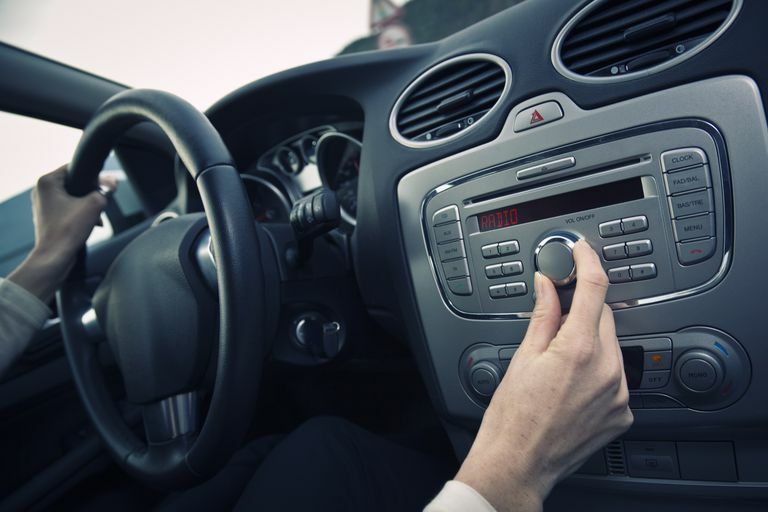 The exact process for entering a car radio code varies from one situation to another. In most cases, you’ll use the volume or tuner knobs or buttons to select numbers, and then click the knob or push another button to advance. Since you can lock yourself out by doing it wrong or putting the wrong code in too many times, it’s important to know what you’re doing before you start. If you enter the wrong code a certain number of times, the radio may lock you out. At that point, you won’t be able to enter any other codes until you complete a reset procedure. In some cases, you will have to disconnect the battery again and leave it disconnected for a while. In other cases, you will have to turn on the ignition (but not start the engine), turn on the radio, and wait for between half an hour to an hour. The specific procedure varies from one vehicle to the next, so you have to either locate the correct one or go through some trial and error. You may come across “keep alive” devices that are designed to prevent the radio from requiring a code after the battery has been disconnected. These devices typically plug into the cigarette lighter, and they provide a limited amount of power to the electrical system while the battery is disconnected.